I have always been a fan of the Aesop fragrances, even though I've never owned a bottle (they're so *expensive*). 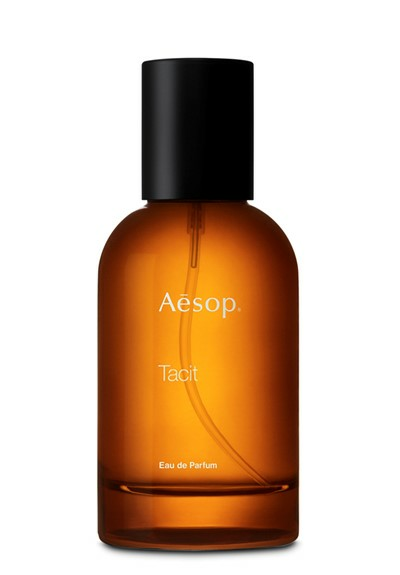 They just opened up an Aesop shop in Wynwood, not that far from where I live, and I am dying to try their new fragrance: Tacit. Looks good, will order a sample of it next time I order from luckyscent. I think I smelled this a few months ago in Europe. I found it pleasant, natural smelling, but not to die for (or to buy). The standout of the Aesop line was the resinous Mystra. Of course it was promptly discontinued. No way! They stopped Mystra?!?!?! Unfortunately, for a couple of years now they've axed it. They have also reformulated Marrakesh (not sure in which direction - I wasn't too interested in it anyway). I still have a splash bottle of Mystra (as opposed to the parfum...which I think was a balm or roll-on?) It's lovely stuff, and I'm glad I got it when I did. I sampled this and found it to be quite nice. The star player is Grand Vert Basil. I give it major points for originality It smells unique without getting funky in anyway. If I see someone hosting a split, I'll definitely get some. Last edited by thebeck; 27th February 2016 at 12:58 AM.